Safe lifting involves using your legs to spare your back. Bend your knees, tighten your abdominal muscles, and keep the object being lifted close to your body. It is also a good idea to be aware of unsafe lifting techniques, so that you can avoid them. Unsafe lifting techniques usually involve positions that will cause you strain when you add a load to them. The use of twisting motions should be carefully monitored, and scaled back or eliminated as appropriate. When lifting heavy objects, twisting should be avoided. When doing heavy work, such as housework, try to keep twisting to a minimum. In other activites, pay close attention to how you are moving your spine, as well as any warning signs such as pain or tightness, that may indicate trouble. Scale back on the twisting according to the warning signs your body gives you. Our bodies are comprised of approximately 70% water. Enough water keeps us fluid, rather than stiff. Drinking plenty of water enhances the height of intervertebral disks, keeping them the healthy shock absorbers they are. Water is necessary for nearly every bodily process so is good to have in generous supply, at least 6-8 250 ml glasses per day. It is almost impossible to drink too much water. Exercise and activity keep the muscles of the spine strong. The most important muscles to strengthen to avoid back pain are the abdominals. Include stretching in your fitness program to avoid stiffness, which causes pain. Another reason to stay flexible is that stiff muscles are a precursor to injury. Maintaining a healthy weight is generally an excellent way to prevent all kinds of diseases and discomforts. For the spine, it avoids compression and loading of the intervertebral disks, prevents postural abnormalities, such as anterior pelvic tilt, and interrupts a sedentary lifestyle, with its accompanying stiff and/or weak muscles. Finding a sleeping position that works for you can help you avoid placing unnecessary strains on your back or neck. Doctors tend to vary when recommending ideal sleep positions, so being guided by your comfort levels and using your own judgement are good accompaniment to his or her advice. For those who exercise, and that should be everyone, warm ups are a must. Warm up means 5-10 minutes of light aerobic activity just prior to the exercise session. The purpose of a warm up is to acclimate the muscles to a more intense activity level gradually enough to prevent injury, and therefore, pain. Recommendations by experts vary as to whether the warm up period should include stretching. The cool down period after an excercise period must include stretching. During cool down, your muscles are still warm from exercising, and are very receptive to stretching. Stretching will be less painful during cool down, as well. 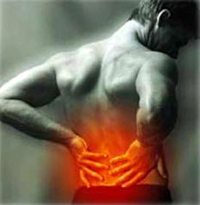 Stretching relieves muscle tightness, which is one cause of back pain. Stretching also helps to balance the action of muscles, enhancing ideal alignment, and relieving joint strain. If you sit for long periods of time, force yourself to get up from your chair as much as your work environment will permit. Sitting loads the spine and compresses the disks, leading to disk problems. Slaving over a computer for long periods of time can also cause posture problems, such as kyphosis, and neck problems. Holistic bodywork techniques and systems such as massage therapy, yoga, Pilates, Chiropractic, or acupuncture are a great way to keep the structures of your spine tuned up for a lifetime! Simple things can work wonders when it comes to keeping your spine healthy. This is called preventative maintenance, and its equivalent is an old saying you may have heard: "An ounce of prevention is worth a pound of cure." The body is an interrelated machine - an aberration in one part will diminish function in other areas. (This is called the kinetic chain.) Postural alignment is the science of how the parts of the body relate to the whole form. When it is ideal, bones are centered and balanced with respect to one another, freeing muscles from spasm, and allowing them to do their job of moving the body. The abdominal and back muscles work together to hold the trunk upright. The action of these muscle groups balance one another to support this area. 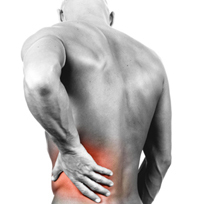 Weak or tight torso muscles, along with any strength imbalances between them, can be the precursor to back injuries. Core strengthening programs, such as Pilates, yoga, and water exercise (to name just a few) are excellent ways to build up your trunk muscles. If you are like most people, you perform certain activites many times during the course of the day. But have you stopped to consider whether you are doing them in a mechanically efficient way? Over time, most routine daily activites become a matter of habit. If you repeatedly do chores from non-neutral positions, that is, you use muscles when bones could do a better job, you may be setting yourself up for injury and/or back strain. Learning and practicing proper body mechanics is often a matter of unlearning ways of doing things to which you are accustomed, but that may also be stressful to your joints. This is especially true when lifting heavy objects or reaching for something. 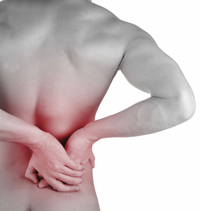 Research has shown there are many kinds of activities that help decrease and/or prevent back pain. Exercise builds muscle tone and increases flexibility. 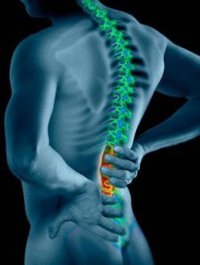 It is quite often a component of rehab programs given by physical therapists and back specialists. Doing back exercises, along with making an effort to sensibly increase your activity levels can help you prevent or manage your back pain. Of course, you should ask your doctor first, to be sure you do not run the risk of making injuries or condition-specific matters worse. Preventative maintenance means not only doing your back exercises, but also taking frequent breaks from the computer or desk, stretching, walking more (even when you don't have to), and other activities. Did you know that the same muscles that enable you to breathe also function as posture muscles? Breathing exercises taken from martial arts, yoga, Pilates and singing technique can all be of value in developing a strong core and a healthy postural alignment. Core muscles are responsible for good posture. If your spinal bones are aligned, and your trunk muscles are flexible and strong, your posture will easily hold upright against gravity, and enable you to perform movements fluidly. A healthy back is the working combination of nerves, muscles, bones and more. But being overweight puts pressure on these structures. If you maintain a healthy weight for your height, you decrease your risk of back pain. Research has linked overweight with an increased risk of disk and other back problems.